The Little Children of the Philippines (LCP) was established in Dumaguete City in 1989, to get impoverished children off the streets. There was a Providential converging, at about that time, of three paths: Rev. Saylor was encouraging PCISto expand its mission to an overseas need; PCIS members Charlie and Ruth Reynolds were planning a long-wished-for trip to the Philippines, where Charlie had served during World War II; the wife of the pastor at the Cambridge Presbyterian Church was a Philippine native, and aware of efforts being made by Christians in her hometown to rescue street children. The return of the Reynolds from their trip was the beginning of a new, life-changing partnership - both for PCIS members and the children of that new Christian community. At first, it was mostly a one-woman endeavor! Ruth coaxed toys, clothing, and books from the congregation, which were packed up and sent in huge boxes. Bottles of children's aspirin were regularly gathered up for shipment. PCIS learned from Jesus' parable of the mustard seed, and soon there was good support from many at PCIS. Many children have been matched with sponsors from PCIS. And many sponsors who have moved on to other churches have planted the seed in their new location. A sponsor gives monetary support to a child, and that support ensures he/she stays in school and gets health and nutrition support. Most importantly, friendship and the message of Jesus' love is well-supplied. PCIS member, Ruth Vitale was our first to travel to LCP for hands-on service. In 2008 another twenty of our youth and adults traveled there to be partners in ministry in 2015 and will return in 2018. Our yearly LCP mission offering supports the pre-schools. LCP says, "Only eternity will reveal how many lives were changed because you were important in the life of a child. May God bless you with health, happiness and peace, is our prayer." 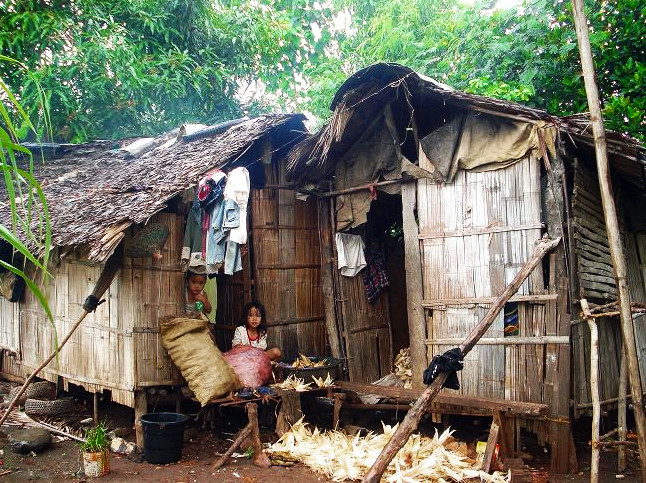 The LCP mission is to help impoverished children through strong, caring Christian communities. The building blocks of this mission are the parent empowerment program, the basic health program, the sponsorship program, and the program for handicapped children. In the preschools, children receive nutritious snacks and vitamins to help with persistent malnutrition. They get access to basic health care, and they learn about Jesus. 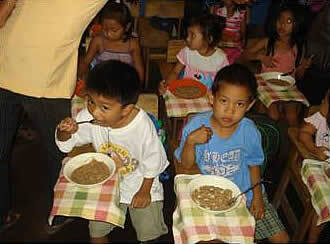 We encourage sponsorship of the Philippine children to help them through their school years. Dumaguete City in the Philippines is where LCP is located. This was the 2008 destination of the Youth Mission trip. Twenty youth and adults traveled half-way around the world to see, first hand, the children and the program that our church supports. We are currently planning another mission trip to the Philippines in 2015. www.littlechildren.org. For a more detailed description of the program and its mission goals, please see this document.